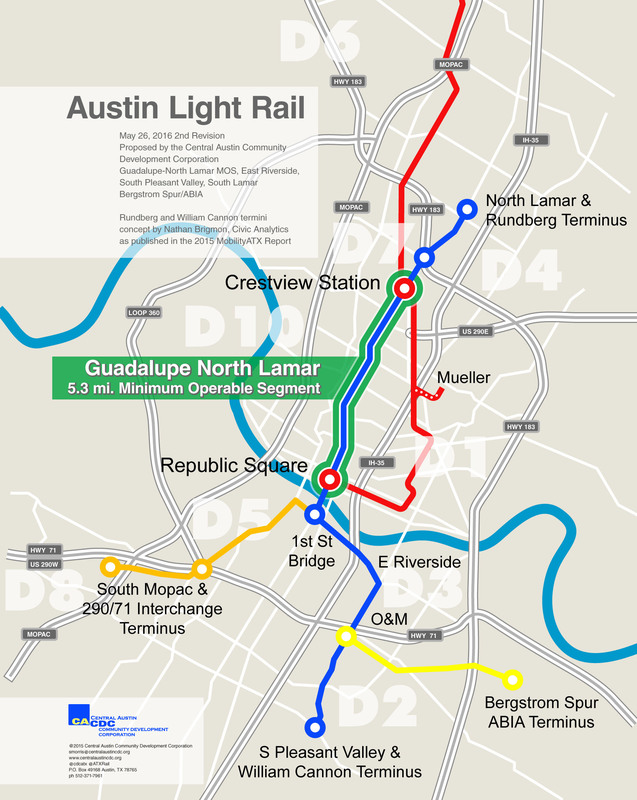 « How soon to get Austin’s urban rail on track after Nov. 4th? Heavy peak-hour traffic on North Lamar. Guadalupe-Lamar is Austin’s most heavily travelled inner-city central corridor, long seen as top priority for urban rail. Photo: L. Henry. 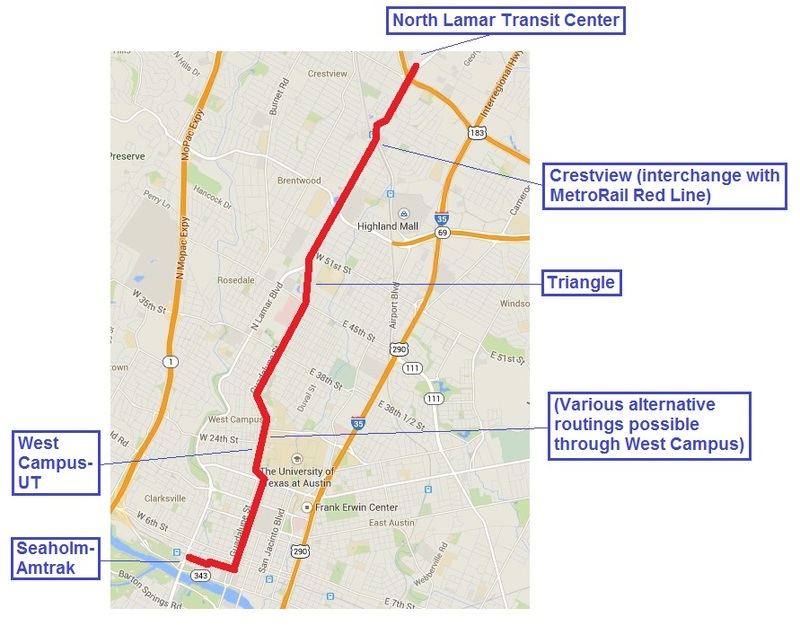 Ironically, COA has also been emphasizing that Lamar-Guadalupe is the primary local traffic corridor in central-city Austin, and even identified this corridor in the NEPA (National Environmental Policy Act) scoping meetings, held throughout Austin in spring 2012, as being at maximum capacity for over the past 2 decades. Now, the latest annual report of the Texas Transportation Institute (TTI), endorsed by the Texas Department of Transportation (TxDOT) not only strongly corroborates these assessments, but provides data that further emphasize the key importance of the G-L corridor. The report tabulates both vehicular traffic (measured as daily vehicle-miles travelled, or VMT) and congestion (measured as annual person-hours of delay) for each major roadway included in the list. Certainly, as north-south highways, I-35 and Loop 1 (MoPac) remain at the top of the list in terms of traffic flow and congestion (person-hours of delay). But these are primarily intercity-regional highways, flanked by frontage roads and sprawling, motor-vehicle-oriented development, mostly commercial. As potential transit corridors, they are physically inappropriate as alignments for regional passenger rail, and definitely unsuitable for urban-suburban light rail, which is ideal for interconnecting points along an inner-city corridor. 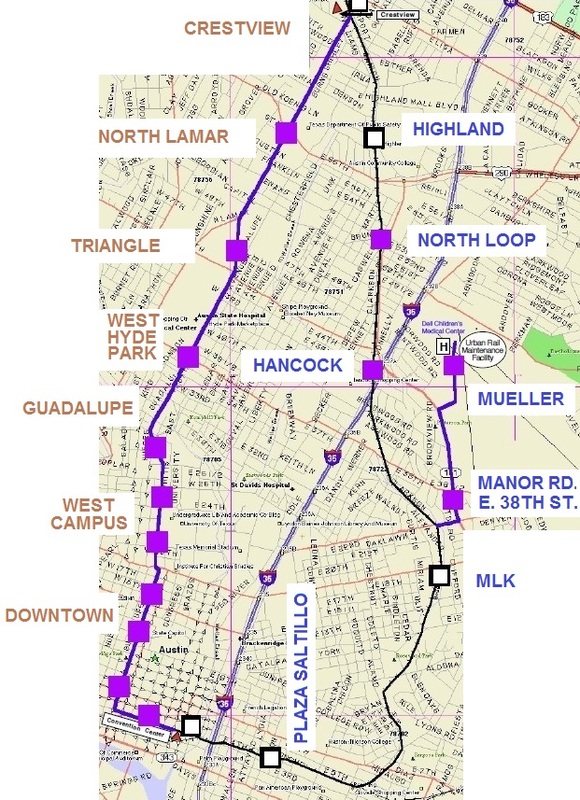 Guadalupe-Lamar is ideal for urban rail, since it channels incoming suburban travel from both I-35 and Loop 1 and distributes it to inner-city destinations. And it interconnects those same activity centers as well as many of Austin’s most established central-city neighborhoods. 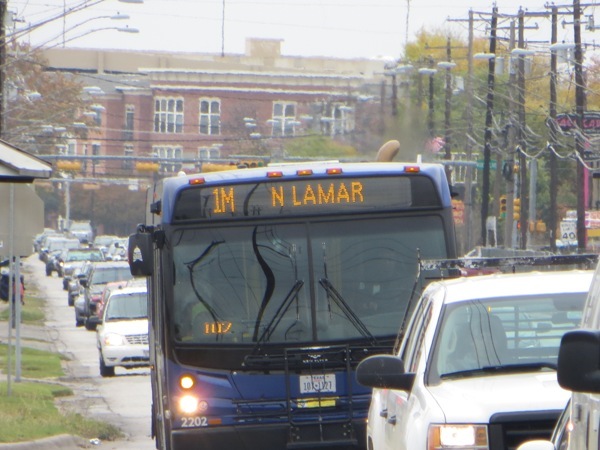 The TTI data underscore the high-traffic primacy of Guadalupe-Lamar. Since these data a presented for segments of the total corridor, we’ve consolidated these segments to show flow in the entire corridor. 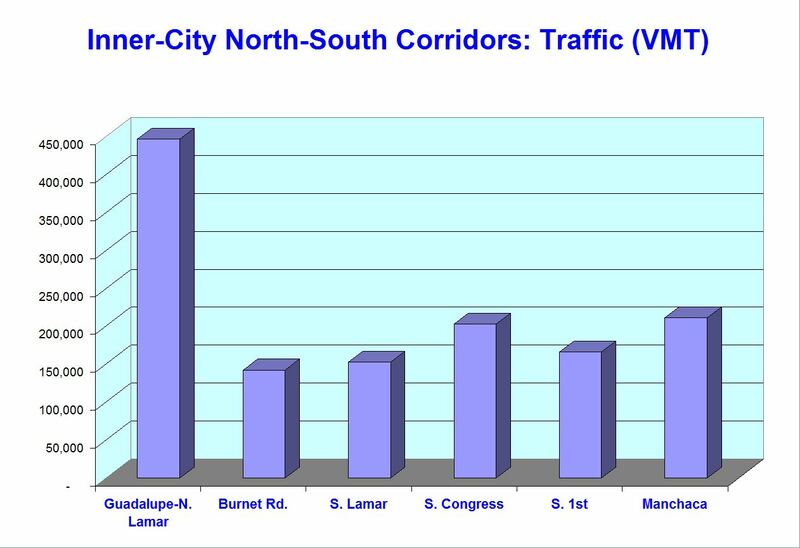 Graph illustrates that traffic flow in Guadalupe-Lamar is more than twice that of any other inner-city north-south corridor. 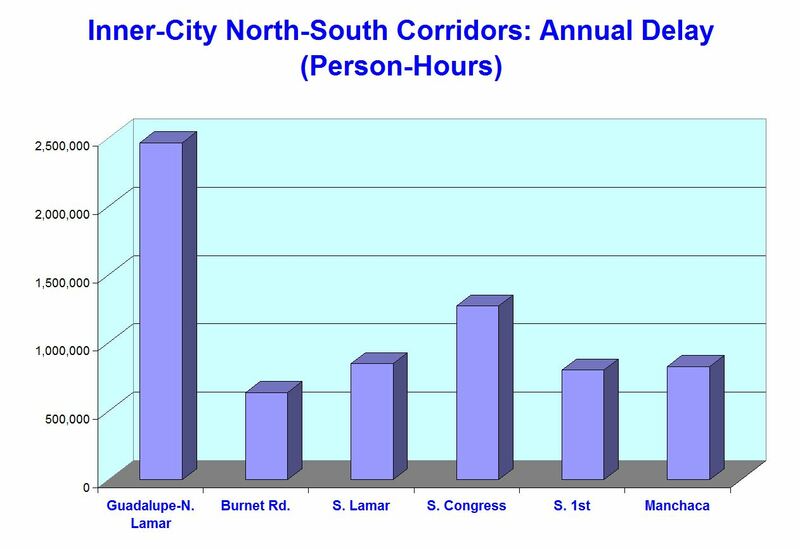 Graph illustrates that congestion (person-hours of delay) in Guadalupe-Lamar is nearly twice that of the next highest inner-city north-south corridor, South Congress. 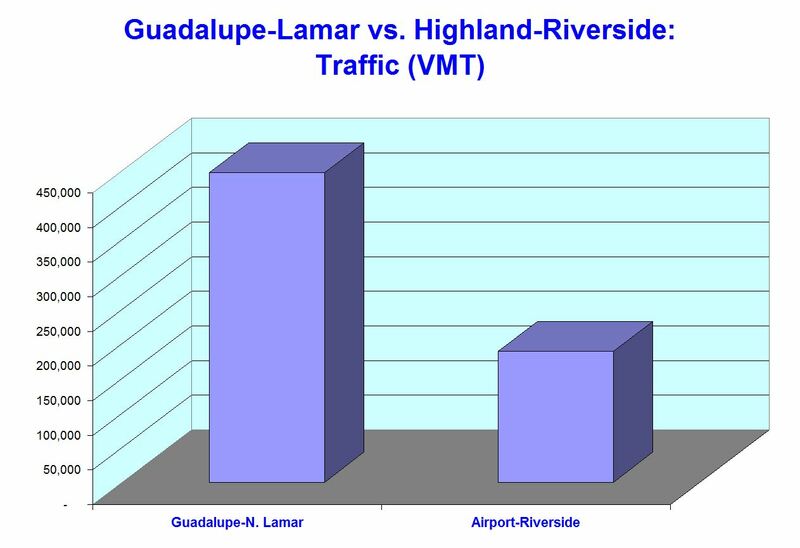 Graph illustrates that traffic flow in Guadalupe-Lamar is at a volume about 2.4 times that of arterials in the Highland-Riverside route. 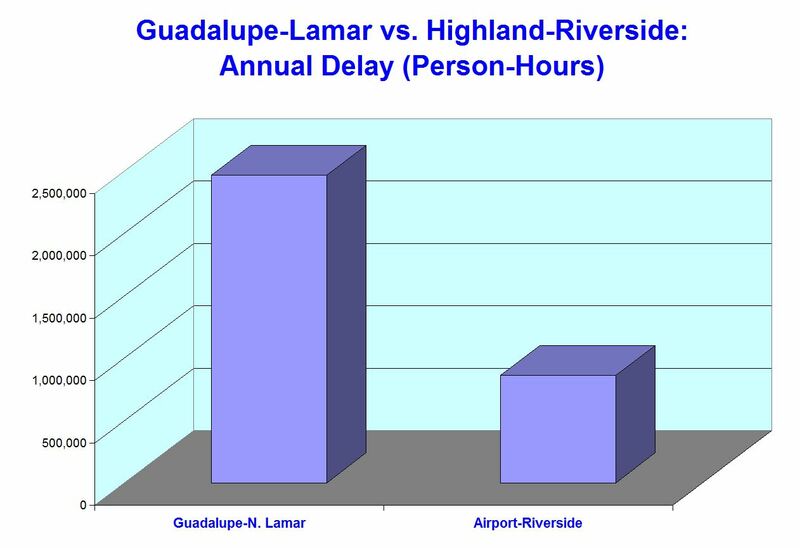 Graph illustrates that congestion (person-hours of delay) in Guadalupe-Lamar is nearly three times that of arterials in the Highland-Riverside route.